Yes, the Volvo product range is young and refreshing, yet innovative and captivating. The automaker is far more than just a safety pioneer. Volvo has become an industry tech leader by spearheading “sustainable resource” movements, simplifying the vehicle purchase process and diversifying manufacturing by way of cultural explosion at its newly built U.S. factory outside of Charleston, South Carolina where the S60 is built. 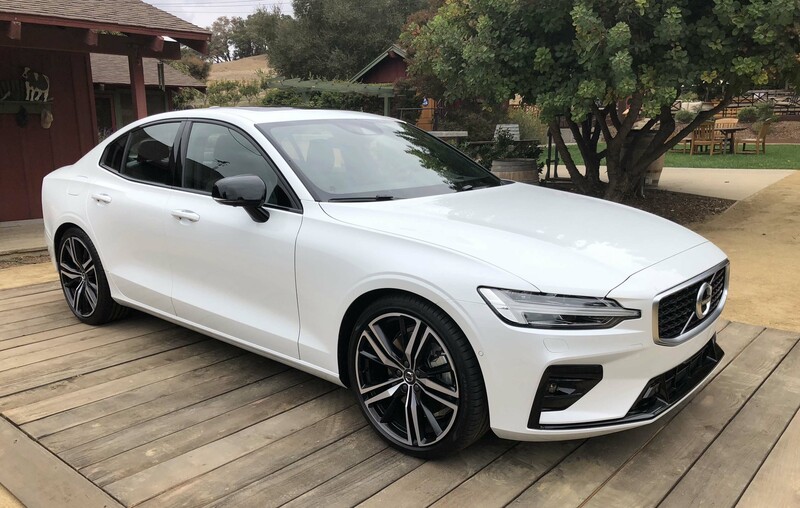 With 360,000 S60s sold since inception, expect grander sales numbers for the 3rd generation model with the advent of Care By Volvo which is an all-inclusive 24-month subscription plan where you only pay for fuel outside of the rate. 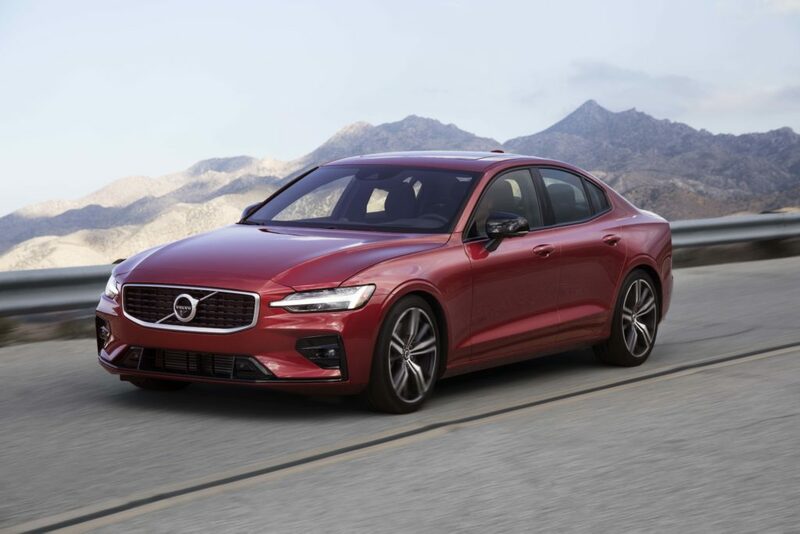 The program eliminates the need to negotiate, includes Liberty Mutual Insurance, covers maintenance and lets owners upgrade to a new Volvo (either S60 or XC40) every year. More importantly, you can set up your new S60 purchase and delivery through the mobile app. A Momentum subscription for example starts at $775 a month and includes the Multimedia Package with Harman Kardon audio, Sensus Navigation Pro and the 12.3″ Driver Display. However, as I walked through the purchase steps there was only one wheel design choice which was not to my liking. Though, Volvo does offer the Panoramic Sunroof as standard. For the evaluation in Santa Monica I started off with a Fusion Red S60 T6 AWD R-Design with the 316-horsepower T6 engine paired with an 8-speed automatic transmission, 19” 5-triple spoke Matt Black Diamond Cut alloy rims and a Charcoal interior with Nappa Leather and metal mesh inlays. 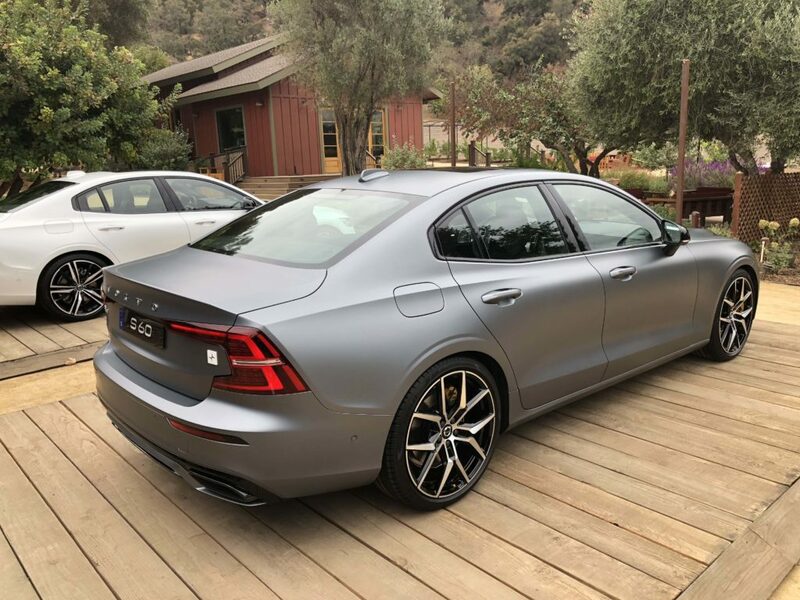 Keep in mind there will be no long wheelbase version since the new S60 is already 5” longer in length and 4” in wheelbase than the prior model. The 2019 S60 has also been lowered by 2” and narrowed a bit. The Scandinavian profile is far more athletic, attractive and suave than the 2nd generation as you can imagine. LED headlights with Thor’s Hammer design, integrated exhaust tips and the ability to apply the 21” R-Design wheels transform this Volvo into a truly special ride. Out of the four powertrains the inline 4-cylinder T6 would be my engine of choice if I were to purchase a new S60 or V60. With 295 lb-ft of torque, power is good and acceleration is always on tap since this unit is both supercharged and turbocharged. The T6 provides your Volvo with AWD which operates as FWD during normal driving conditions with the ability to distribute up to 50% torque to the rear wheels when needed. Added Corner Traction Control Torque Vectoring provides high-speed cornering capabilities by manipulating outer wheel speed through the use of braking. The T5 on the other hand is coupled with a FWD drivetrain. The turbo inline 4-cylinder dishes out 250 horsepower and 258 lb-ft of torque. Vehicle characteristics from the engine to steering can be customized by way of the four Drive Modes for either an easy grocery commute or a sizzling dash to the office. Drivers can select Comfort Mode, Dynamic Mode, ECO Mode or Individual Mode. Additionally, Power Steering can be tailored to increases tautness or decrease it. The third engine choice is the supercharged and turbocharged PHEV T8 twin engine with 400 combined horsepower and 472 combined lb-ft of torque. The S60’s top-of-the-line package is the supercharged and turbocharged PHEV Polestar Engineered T8 twin engine with 415 combined horsepower and 494 combined lb-ft of torque which was absolutely stellar on open roads as evident during electrified performance in my Osmium Grey Matte S60 Polestar Engineered afternoon test drive. The electric motor sits atop the rear axle and drives the rear wheels with 87 horsepower. The vehicle can be recharged through the TurboCord in 2.5 hours (200v power source) and regenerative braking. Drive Modes on these two T8s feature Hybrid Mode, Pure Mode for electric priority, Power Mode and Individual Mode. When Power Mode is selected you can instantaneously feel the vehicle’s elevated dynamics, especially the firmness of the steering wheel. I kept the Polestar in this setting my entire time behind the wheel. Additionally, both petrol plug-in hybrids are unified with AWD. Volvo is on an edifying path to bring one million electrified cars to market by 2025. In fact, starting in 2019 all new Volvo vehicles with be either electrified or fully electric. 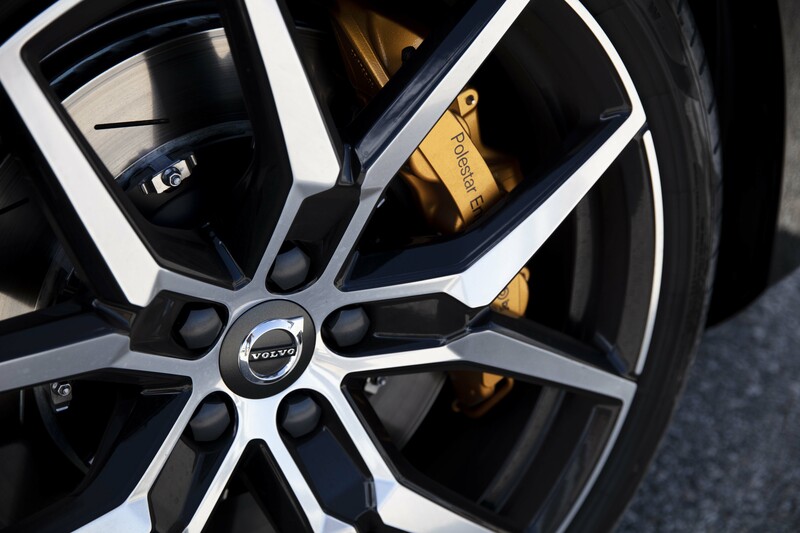 The Polestar model is visually unique in that it features the customary gold Brembo 6-piston calipers which are pinpoint at stopping the vehicle. The esteemed Öhlins adjustable dampers and seatbelts are gold as well. The Polestar also receives specific, form fitting performance seats. Inside the intelligent cabin the nucleus of the S60/V60 is the standard 9” Sensus Connect touchscreen multimedia display. Think of your smartphone and instead of adding 20 apps on the home screen downsize that to four main operations. In this case SENUS uses a swiping tile system for navigation, phone, media and applications. Within each tile is a bundle of various selections such as turning on/off Lane Keeping Aid, setting Cruise Control or engaging Collision Avoid Assistance. Volvo upgraded the chip for 50% improvement in processing which leads to faster access to the backup camera and better voice control. Apple CarPlay and Android Auto are key components to connectivity but I was disappointed by the lack of a wireless charge pad. Furthermore, my vehicle included a Bowers & Wilkins 1,100 watt, 15-speaker audio system with metal grilles that integrate wonderfully with the cabin trim. It’s intimated that a wagon is your next best alternative to an SUV. This is true as I love the utility and sedan-like maneuverability of this almost forgotten auto archetype. Thankfully, Volvo continues to put resources into the V-series lineup because versatility is important. The second generation V60 incorporates a distinctive City Weave interior, has a lower profile and the cargo area features a more upright rear angle. 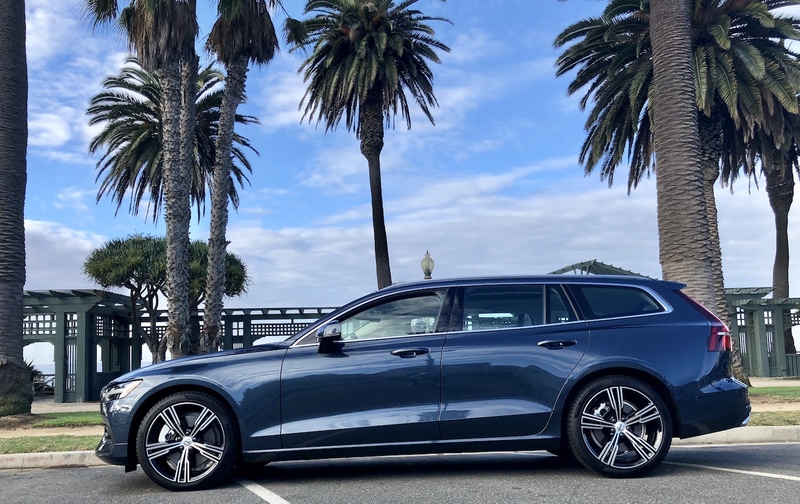 Available at the end of 2018 for the S60 and the top of 2019 for the V60, consumers should continue to expect extreme safety measures from Volvo like City Safety, Intersection Auto Brake, Pedestrian, Cyclist and Large Animal Detection with Auto Brake & Brake Support, Run-Off Road Mitigation, Pilot Assist and much more. The Scandinavians have reinvented a stunning sedan and wagon designed to excite the senses while relieving the stress of everyday commuting.